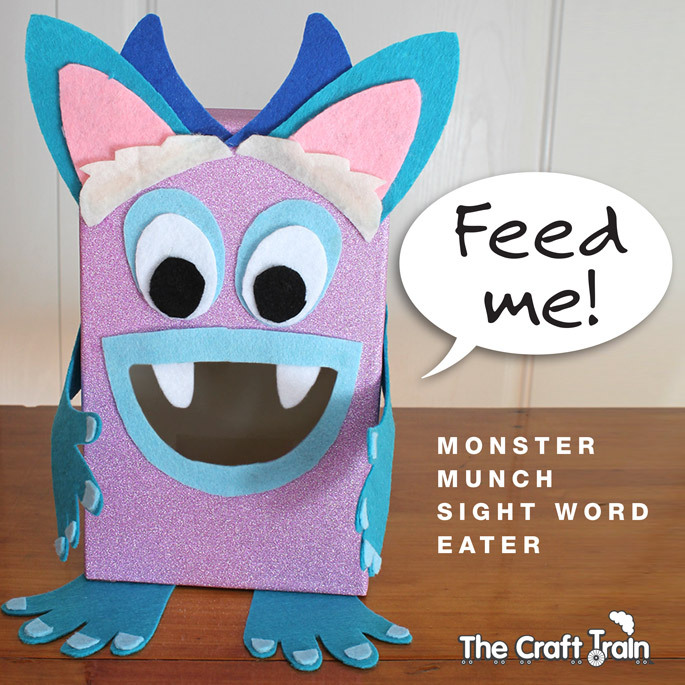 We have a new pet in the house: a baby monster by the name of Sparkle and she is very, VERY hungry. 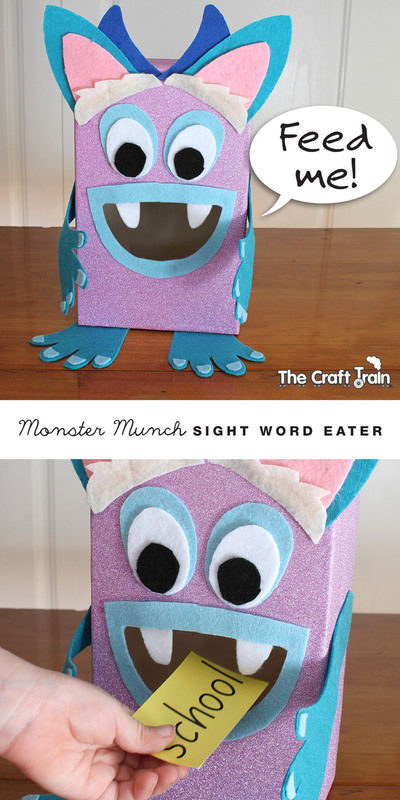 She needs to eat lots of sight words to grow up big and strong. Miss K reads the sight words and pops them into Sparkle’s hungry mouth, the quicker the better (she doesn’t like to be kept waiting!). Now, I tell the truth when I say that I hesitated to add this feature, but what goes in must come out. So just like a real baby, after Sparkle eats she needs to go to the toilet. Now she’s all ready to play again, simple as that. But look out! If Sparkle eats too much too quickly she feels a bit sick in the tummy and needs to spew, which brings us to the next game that you can play. Reach into her mouth and pull out a lucky dip sight word to read. 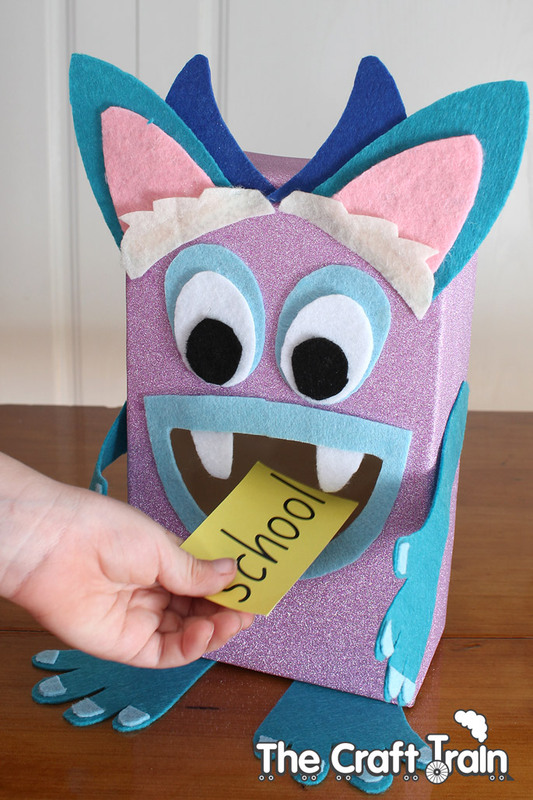 We call this game ‘Lucky dip sight words’, because Miss K doesn’t want her pet monster to be sick. You could also call it ‘sight word spew’ if you wanted to. 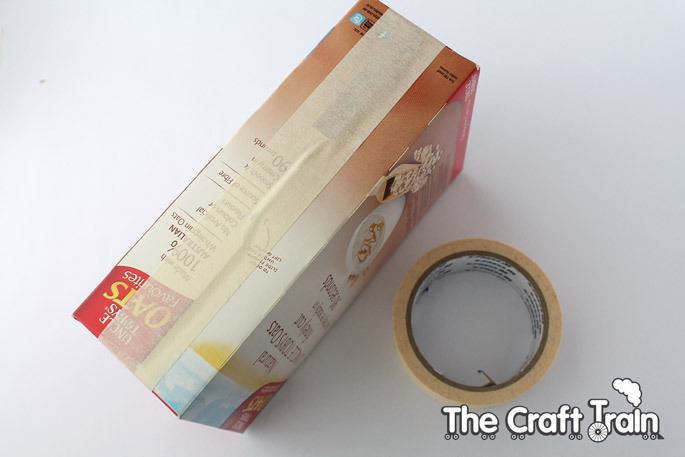 Seal the open parts of the box up with masking tape and then cover with the sticky backed plastic. 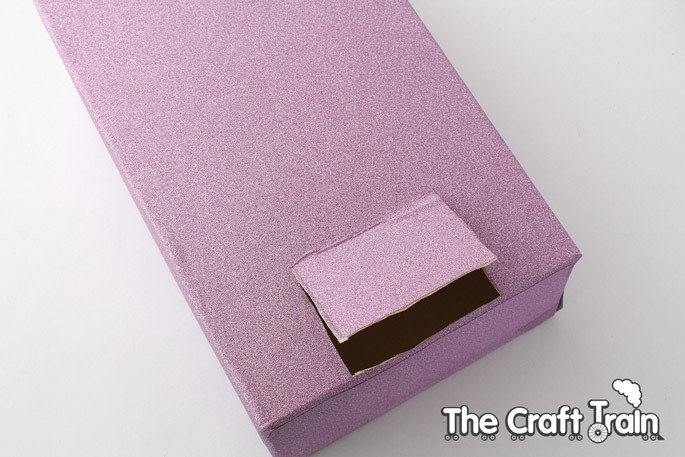 Alternatively you could either paint the box or cover it with coloured paper. Lightly sketch a mouth shape over the covered box that is almost the full width of the front, and is large enough to fit a small hand inside once you’ve made it into a hole. 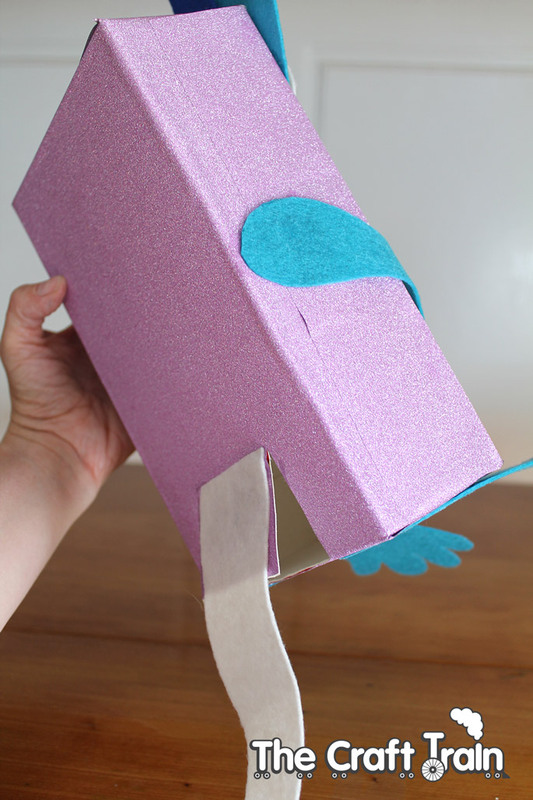 Cut the hole with your sharp knife or scissors and then use the piece that you have removed to trace onto the felt to get the mouth exactly the right shape. 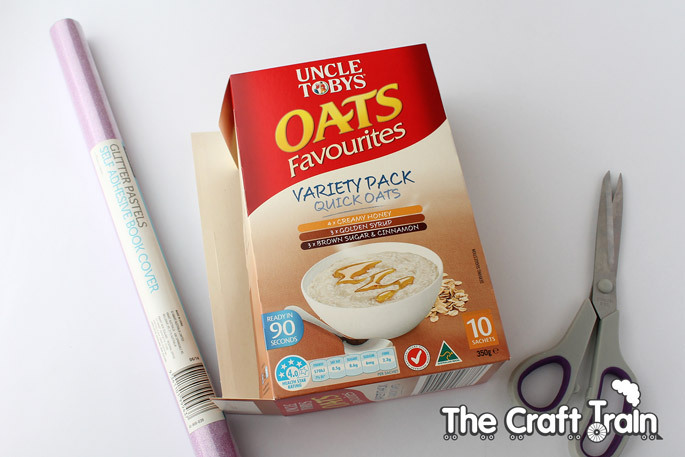 Trace slightly wider than this for lips and cut the lips out from the felt with a hole the exact shape of the piece removed form the cereal box. 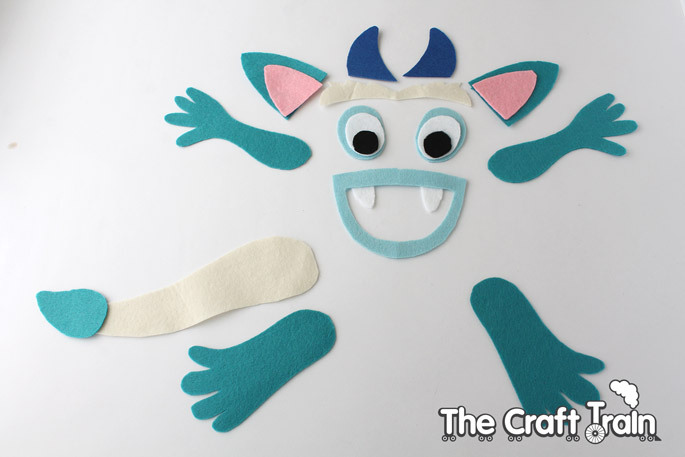 Design a monster face using felt pieces (anything goes, it’s a monster). 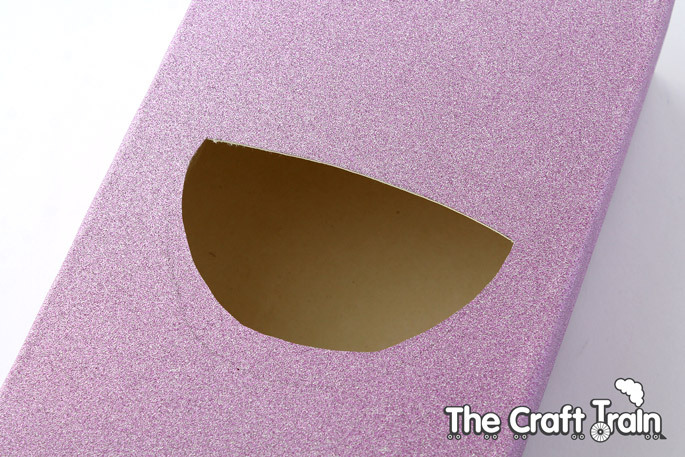 It’s easiest to draw the shapes on paper first, and then cut the paper while holding it over the piece of felt that you are using to get it to the right shape. Once you have cut out all the pieces it’s a good idea to put them together to see if the design works before sticking it onto the box with the fabric glue. 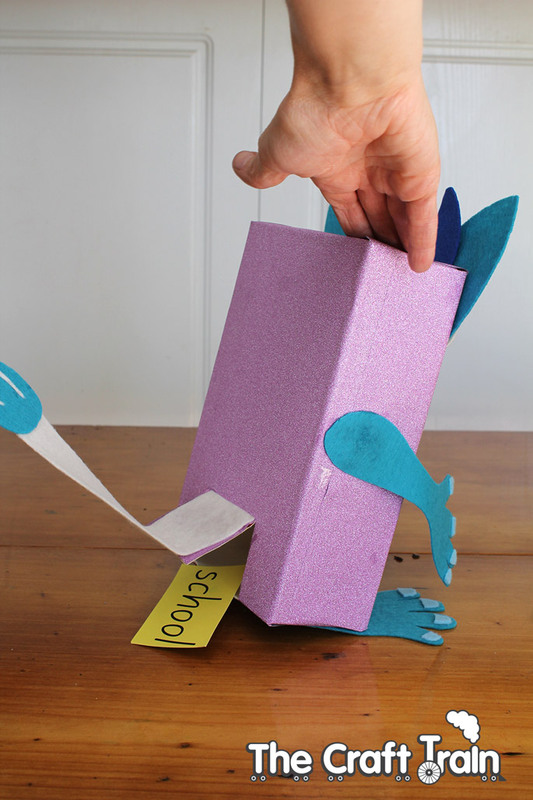 For the tail, cut a rear flap on the box to stick it over. Once the pieces are glued on allow them to dry overnight while lying flat so that they stay in place. 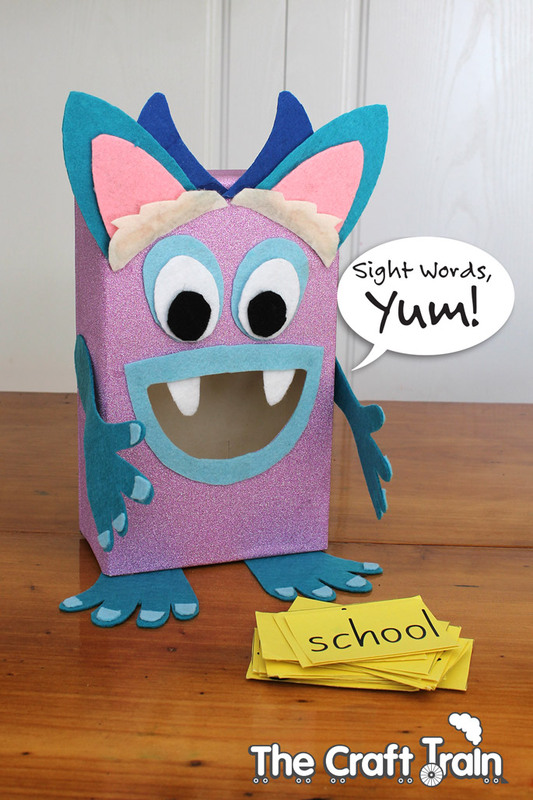 Now you’re ready to play – and sight word practice has never been so much fun! 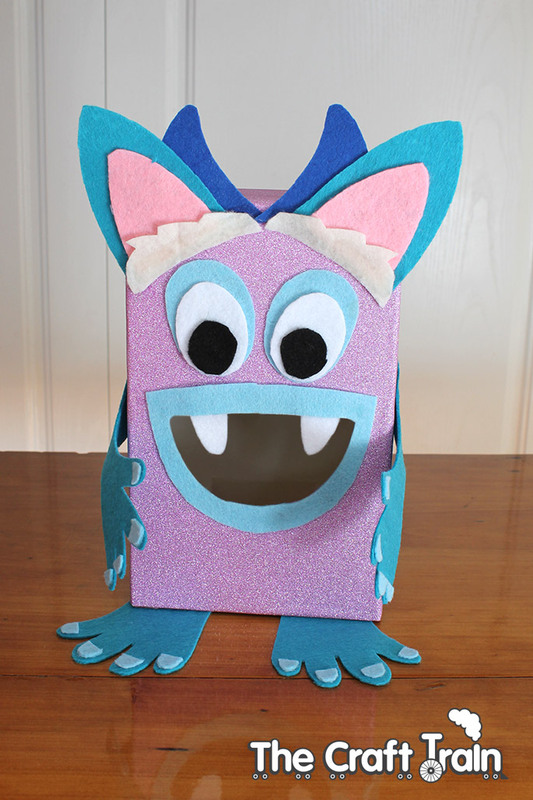 Plus there is tonnes of monster activities on our halloween board on Pinterest, or for educational activities try our learning activities for kids board. Are you following us? That looks like a perfect way to play and learn at the same time. My granddaughter loves to do crafts when she visits us so this will definitely be one we will try the next time she comes over. Thank you for the wide selection of fun ideas with good pictures to show us how to make them ourselves. Glad I ran onto your site! Thank you so much for this idea. I offered this as a craft at my school’s literacy night. The kids were really excited. I spent two hours non-stop cutting boxes to keep up with demand. We used patterned and colored duct tape to cover the body of the box. sorry but i have a question. where did you get your sticky back plastic?